The Bourjous Magic nail polish remover has always been a favourite of mine for removing nail polish quickly and effectively. 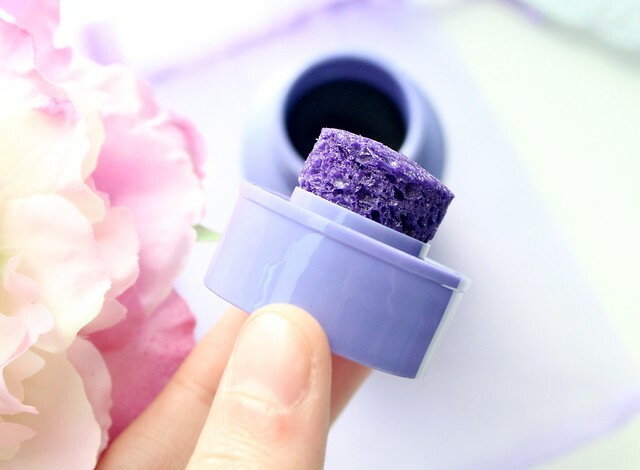 Being surrounded by a sea of nail polish saturated cotton pads was always one of my biggest beauty pet peeves so when Bourjois invented this genius little pot of polish remover that required nothing more than sticking your fingers in a foamy pot, my beauty prayers had been answered. It even gets rid of glitter polish and we all know how that stuff doesn't like to budge. However, although I love it, I do still have one fault - the fact I can't use it on my toes. I've tried rather embaressingly and unsuccessfully to stick my toes into the pot on many ocassions only to end up pouring the contents of the pot all over my bedroom floor. Please tell me you've done that too? Anyway, as that was a big fat fail, I had to stick with standard nail polish remover and messy cotton pads. Ew! Well - much to my excitement, Bourjois clearly read my mind because look what we have here. A re-invention of their famous magic polish remover only this time for hands AND feet. Woohoo! Seriously, I know its only nail polish remover but I'm so excited by it. Anything to make my life easier is a winner with me! Its packaged in exactly the same way as the original version only with a slight change from Pink to Purple and it has a new and improved scent of vanilla and red fruits. Nail polish remover that smells good? Yes please! Now although its exterior looks the same - the contents of the pot are a whole new story. It still has the foamy hole to stick your fingers in (wow - is there any way to make that sound okay? ), acentone free polish remover (handy for you ladies with falsies) and moisturising sweet almond oil formula but this time it also has a piece of foam attached to the lid so you can conveniently rub it on your toenails and say goodbye to your polish. Quick and easy to use on both fingers and toes, nail polish removal has never been easier. If you're a bit of a lazy gal like me, I'm sure you'll love this new launch from Bourjois just as much as I do. Now Summer is almost here and my toes are going to be on show a heck of a lot more, this little pot of magic is going to come in very handy! All hail Bourjois and their genius ideas. Will you be picking this up? 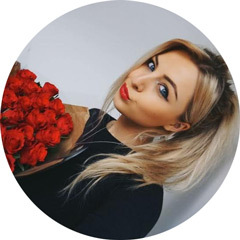 You can grab it here for £6.00. This is so handy, I need to paint my toenails more just as an excuse to use this! Great review! I am really curious about this invention but somewhere in my head there is a voice that says, it's going to annoy and destroy your fingers. Do you notice any sensibility from your nails after using it? I love the look of this! Im always a bit of a lazy bum when it comes to removing my toe nail polish! 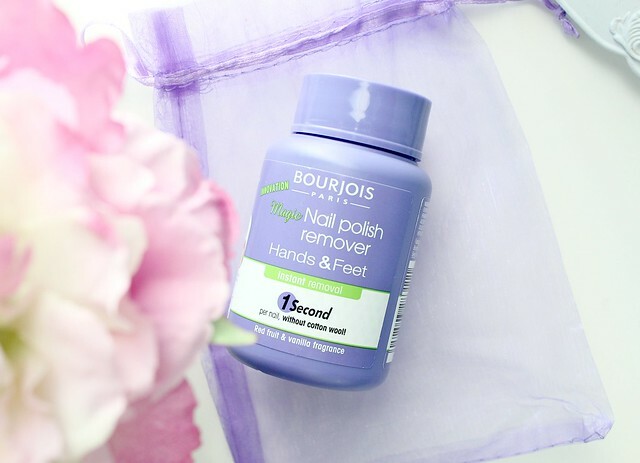 Love the original Bourjois 1 second nail varnish remover, so can imagine this is good! I definitely need to give the Boujois nail polish removers, they sound so good! I like that you can use this one for your toes too! I have tried sticking my toes in that sponge hole several times before but, I have failed miserably and got myself into an awkward position. However, I soon came up with this bright idea and just took a cotton pad and poured/squished the sponge using the pad *anything as long as it gets some product on the cotton pad* and used it on my toes. I'd still give that a try though, I am a lazy person after all. This is something I need to try out! The application looks so easy with this! Definitely a good invention on Bourjeous part! I need this! Removing nail polish off my toes is such a chore haha! the packaging is gorgeous!!! this also sounds like a fab product! When I saw the headline, I was like - eeeek! I'm always on the hunt for anything that makes removing polish easier, think I need this in my life! I'm pretty stoked I didn't read this previously! I've just finished my Pink Bourjois remover and I too am guilty of trying to stick a toe in, only to pour the contents all over my floor and feet. It's been the best pot I've owned for my fingers and I figured the purple one would be exactly the same, but with a different scent! Definitely going for one of these next time I'm having a shop!! Always said they should make one for toes. My wish has came true! Anything that makes nail polish removal easier is a winner in my eyes.